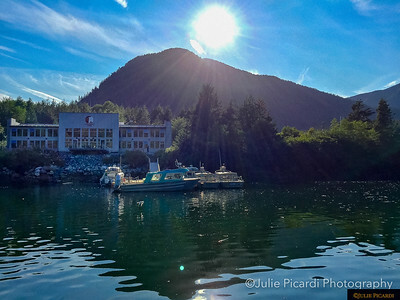 The little town of Klemtu is so small we could have walked to Spirit Bear Lodge, SBL, from the ferry dock, but our hosts picked us up, loaded us and our gear onto a pick-up to travel the short distance to our accommodations. 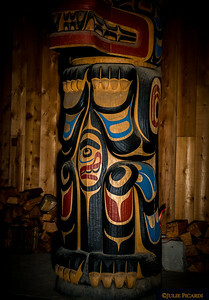 SBL is an eco lodge which proved to be very comfortable for our stay providing great food and camaraderie. 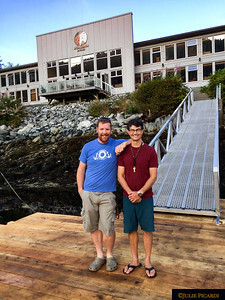 The lodge was founded by the Kitasoo Xai'Xais First Nations People as a means to provide employment for their people and to fund their efforts to preserve what is so very dear to them...the Great Bear Rain Forest and all that inhabits within. 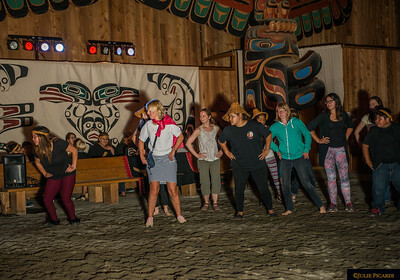 The Kitasoo and Xai'Xais are two bands of First Nation people whose ancestors have lived for thousands of years within the vast Great Bear Rain Forest. 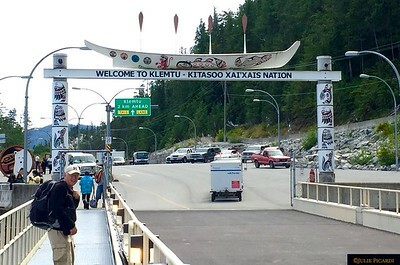 In 1982 the 2 tribes joined together in Klemtu as a unified cohort to represent and lay claim to their provincial territory to Canada. 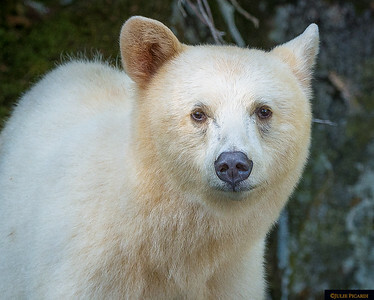 No longer willing to allow their cultural and environmental resources to be extorted, their unification proved to the Canadian government that they were capable of managing their ancestral lands to the benefit of all that inhabit the primitive, pristine area and conserve those attributes so precious and delicate. 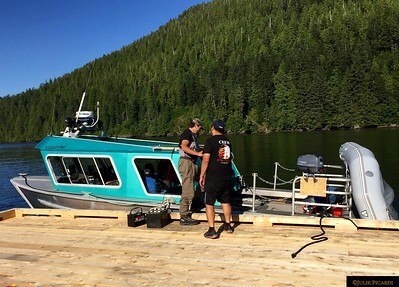 In 2000, a final Land and Resource Protection Management Plan clinched governmental recognition, allowing management of the land and its sustainable resources by the Kitasoo Xai' Xais people in conjunction with the British Columbia government. 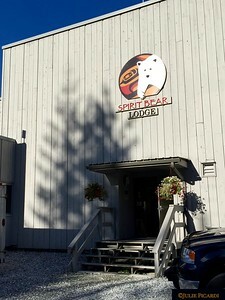 Wrangling over policies still exists with the First Nation people fighting fiercely to protect the lands from logging and the bears from being hunted. 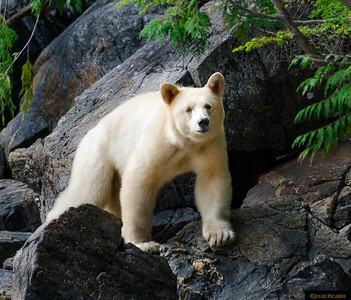 Advances were made in April of 2016 when 12,000 miles or 85% of the land was deemed protected from logging though the Great bear Rainforest (Forest Management) Act. A second milestone was the defeat of the Enbridge Northern Gateway Pipeline project in June of 2016, ensuring the safety of the B.C. 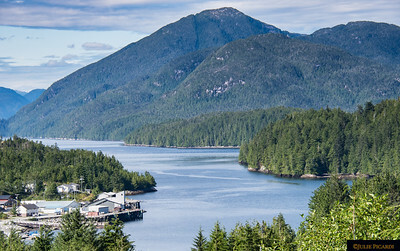 coastline by eliminating the threat of tar sands oil shipping. 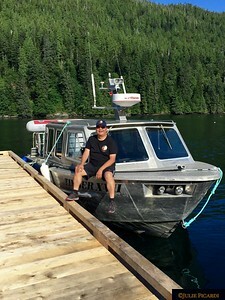 The Captain and his boat wait for us as we gather our gear for the day. As the day was quite warm, Rupert seemed to enjoy being in the river, regardless of intent. Sadly we leave, but even before departure, we know we will return. 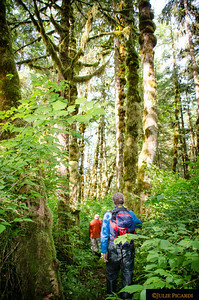 The Great Bear Rain Forest provided a solstice which we had never before experienced, and one I know we will long for again. Today we travel to a different island with different habitat. 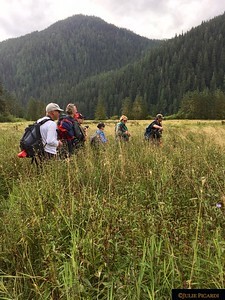 No longer in the rain forest, we are hiking through tall grass to reach Mussel River in the hopes of observing grizzly bears. 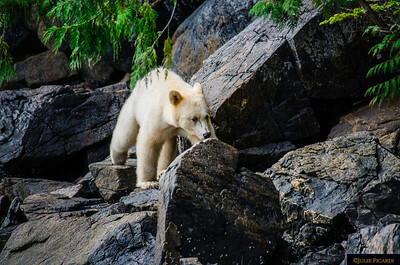 Grizzly bears and black bears do not inhabit the same islands for several reasons. 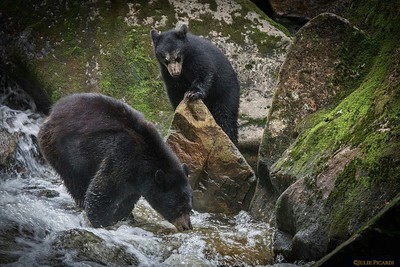 Grizzly bears prefer more open, grassy areas for foraging, while the black bear prefers a more dense forest atmosphere. 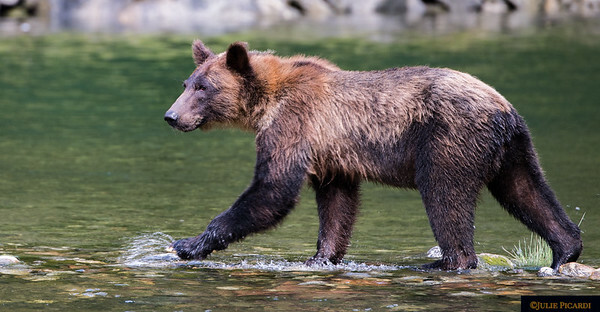 Grizzlies need far more room to roam than black bears require, and grizzly bears are at the top of the food chain making black bears vulnerable as prey. Even though the expanse is flat and open, one must be careful when hiking through the tall vegetation. The big brown bears enjoy sleeping and napping in this type of environment, so one would not want to surprise a sleeping bear by stepping on it. Trekking back to the boat. 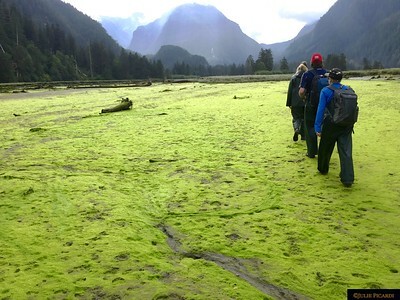 Walking over intense green, squishy moss, I marvel at the variation in the landscape. Each day brings a new, distinct variation of the rain forest environment. Soon after we leave, a tidal surge will cover our footsteps.